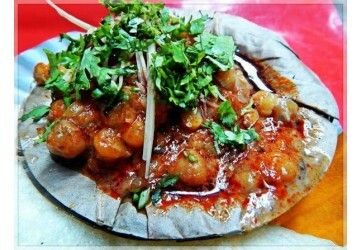 Lotanji Chhole Kulche Wala is one of the most popular chhole wala in the food destination of Delhi. Founded in 1977 you can enjoy the best Kulche chhole which are flavored with chillies and sour sauce to get a unique taste. Chhole mixed with potatoes are boiled in red hot curry, though you can ask for low, medium or high spice, and topped with green chillies, ginger & coriander have become the hallmark of chandni chowk spicy street food that you would have always heard of . You will definitely experience the joy of eating soft kulche garnished with lemon and coriander. The taste and quantity is really worth the price. They have been continuously in the news by all big news agencies such as Times of India,Hindustan Times ,NDTV etc.